Most Masonic organizations sponsor a little league team, or local pee-wee football. Then again, most Masonic organizations aren’t willing to try things that are outside of the box. Ubar Grotto, however, is willing to go out on a limb in search of new and different activities for its members. Our Monarch, Pro. Seth Anthony, was at a Fourth of July parade over the summer where he met the ladies of Pottstown Roller Derby. He chatted with the gals and thought they seemed like a fun group. Pottstown is about an hour and a half from where he lives though, so it didn’t seem like there would be much interaction after that. Then, as the Grotto was forming, Pro. Anthony remembered the roller derby team he had met. He hit the internet and found there was a roller derby team competing much closer to home – in Harrisburg! At the next stated meeting of the Grotto he brought up the idea and it was met with much enthusiasm. To be sure that everyone was on board, the discussion was carried over to the next meeting, at which members voted in favor of sponsoring Harrisburg Area Roller Derby (or HARD for short.) Having made this positive endorsement, the only thing left to do was attend a bout! 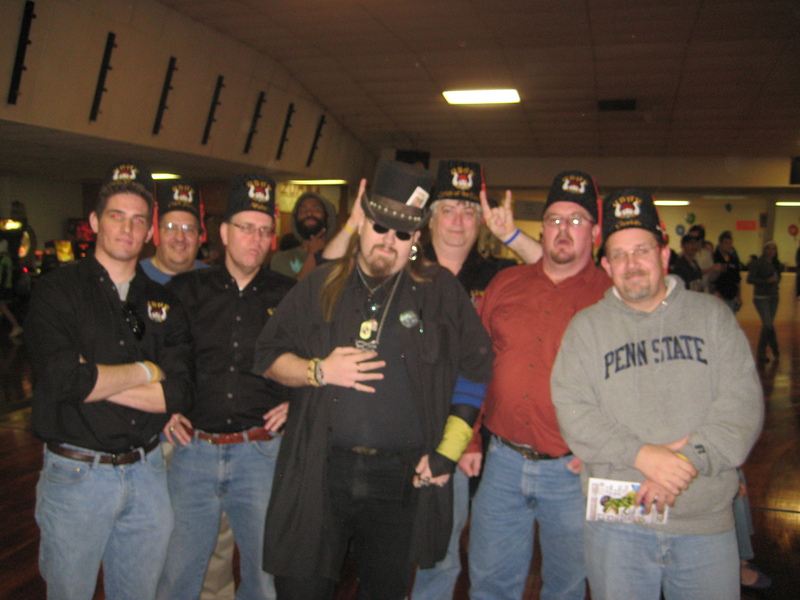 On Sunday, October 23, 2011, eight Prophets of Ubar Grotto donned their fezzes and headed down to the Olympic Skating Center in Enola, PA, where the ladies of HARD were having their final match of the season. 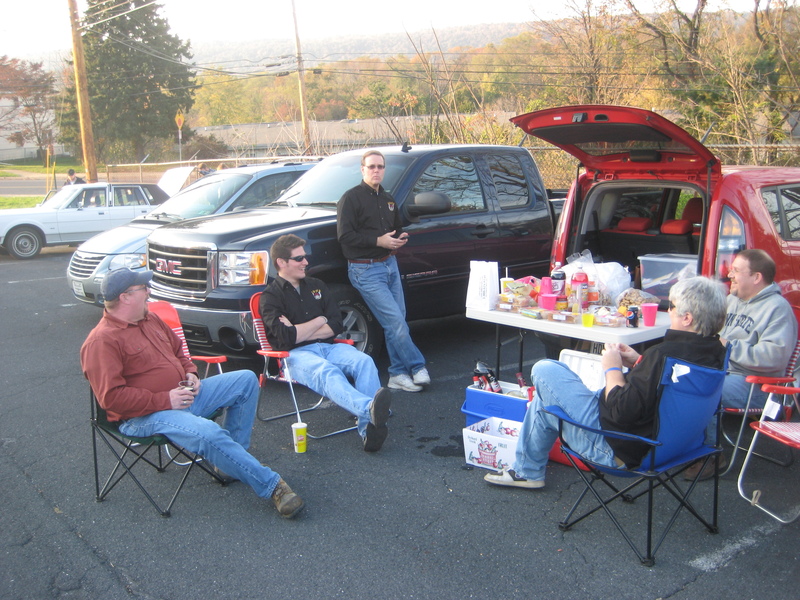 In true Ubar style, the members set up shop in the parking lot, tailgating the event prior to the start time. After enjoying the fellowship of other fans, the group went inside to witness the derby. 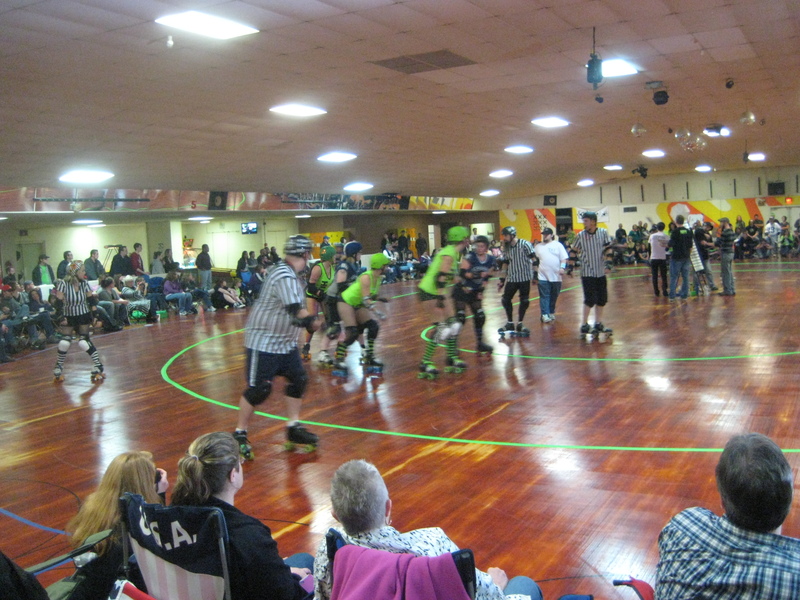 The Fallout Femmes of HARD skated against the Mason Dixon Roller Vixens of Maryland. It was a tough game, not only for the ladies, for the members of Ubar Grotto to follow! However, everyone soon caught on to the rules and the cheers from the men in fezzes were heard throughout the rink! The Femmes won the match and skated into victory for the final time of this season, much to the joy of the fans present. Following the event, the ladies of HARD invited the members of Ubar down to the Appalachian Brewing Company in Harrisburg, where they did a meet and greet with the Ubarians present. The gals were great, spending lots of time getting to know everyone and establishing a great sponsorship relationship for the future. Ubar Grotto is proud to announce its official sponsorship of Harrisburg Area Roller Derby! A representative from HARD will be at the next stated meeting on November 13, 2011, to meet all of Ubar’s members and accept the check. We hope to see you there! ... and remember, nobody out funny hats Ubar Grotto!